Our services include both interior and exterior painting, with a thorough cleaning applied to the area in advance, and all concern for environs that need to remain paint-free being taken into account. Our team of certified professionals offers years of service in both interior and exterior settings, with full knowledge of the various elements that will affect the finished quality of the work. These include such factors as the composition and texture of the surface being painted, as well as the type and quality of paint to be used. The presence of everything from existing paint layers to the salt content of sea breezes will likewise be a factor. We use only the best quality paint, and we employ the right tools for each job. Our quality will be evident in the look, as well as the longevity, of our finished work. 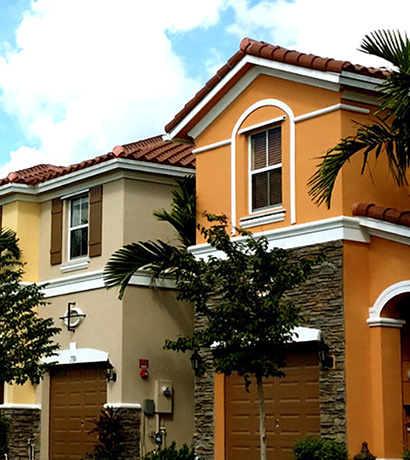 A well-painted house is bright and cheerful; it elevates the value of the entire neighborhood, and lends a certain appeal in the eyes of visiting friends and family.